Triangle C Cabins were created with the adventurer in mind. The simplicity of the property creates the perfect home base for your Idaho excursions. 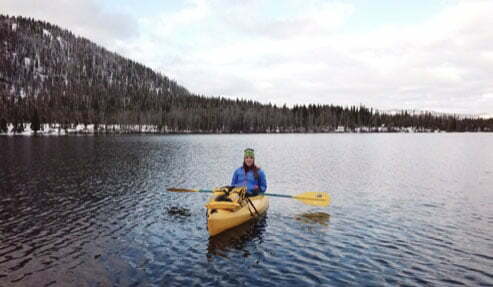 Plus, you are just moments away from the amenities and fun Redfish Lake Lodge offers. One of the best things to take advantage of here is a Redfish Lake boat rental. Experience the natural beauty of the sparkling lake when you get out on the water! After you add a Redfish Lake boat rental to your itinerary, it’s time to plan the rest of your trip. Our area is filled with countless other excursions; for a list of handpicked, local recommendations, take a look at our complimentary Adventure Guide. This valuable resource has helped so many travelers plan unforgettable trips to Idaho, so get a copy today! When you stay at Triangle C Cabins, you’ll have access to the Ultimate Lake Day Package. All you have to do is add this bundle to your reservation, then a representative from Redfish Lake Lodge will contact you to help you plan the perfect day out on the water. You can choose from stand up paddleboards, kayaks, canoes, small motor boats, and pontoon boats. Whether you are looking to become one with nature as you paddle through the calm portions of the lake or speed around on a motor boat, there is something for everyone! If you are looking for a Redfish Lake boat rental, you’ll have to go to Redfish Lake Marina. Located at Redfish Lake Lodge, this is the exclusive marina at the lake. All are welcome to use it, even if you are not staying at the properties! Plus, there is more to the marina than just rentals. The white sand beaches are the perfect spot to enjoy the warm sun before you take a dip in the crystal clear water. During your stay at Triangle C Cabins, your days will be filled with adventure. It’s important to relax and rejuvenate between all the hiking, biking, and sightseeing. 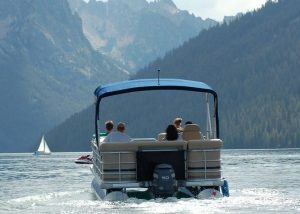 A Redfish Lake boat rental is the perfect way to do so! For true relaxation, you can opt to be driven around and catered to on a Sunset Appetizer Cruise. Whether you are with your sweetheart, friends, or family, you’ll all love floating on the crystal-clear lake as the sun goes down. Enjoy delicious appetizers and drinks as you take in the views! 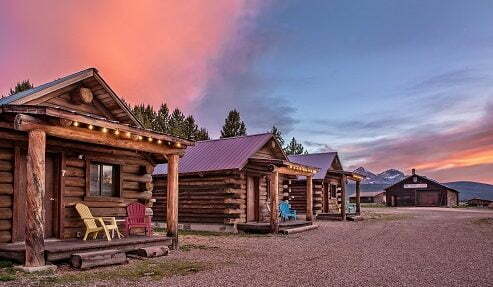 If you’re looking for an Idaho adventure, Triangle C Cabins is the place to stay. These simple cabins will be your home base for any activities you want to partake in. After exploring the wilderness, all you need is a warm bed in a cozy cabin to come back to. Between all your excursions, there is plenty to keep you busy. On property, you can gather around the charming firepit and grass common area for games and activities. You’ll also be just moments away from all the amenities and fun Redfish Lake Lodge offers, like a Redfish Lake boat rental. There, you can also find delicious restaurants, a general store, and more! Book your stay today!